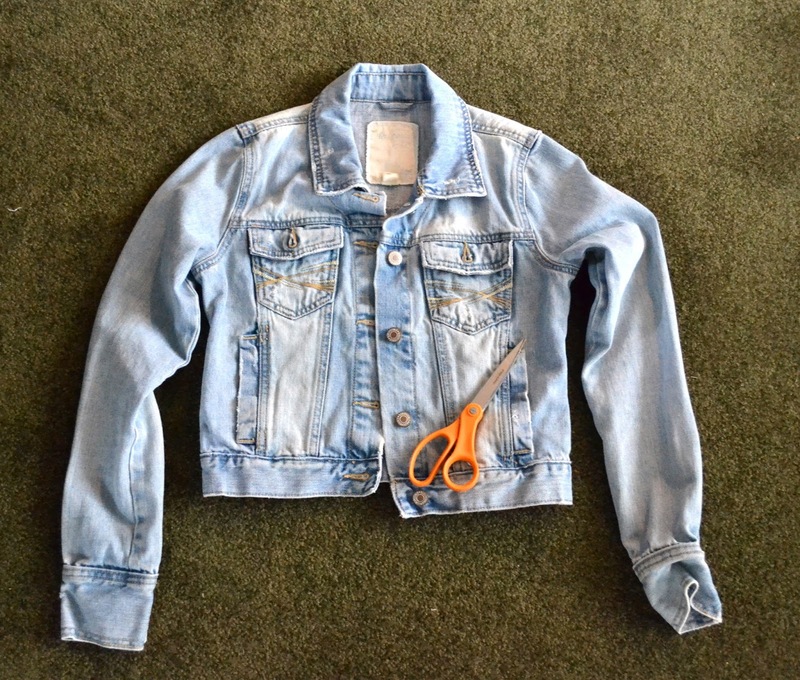 Supplies: Jean Jacket (I thrifted mine for seven dollars), and scissors. 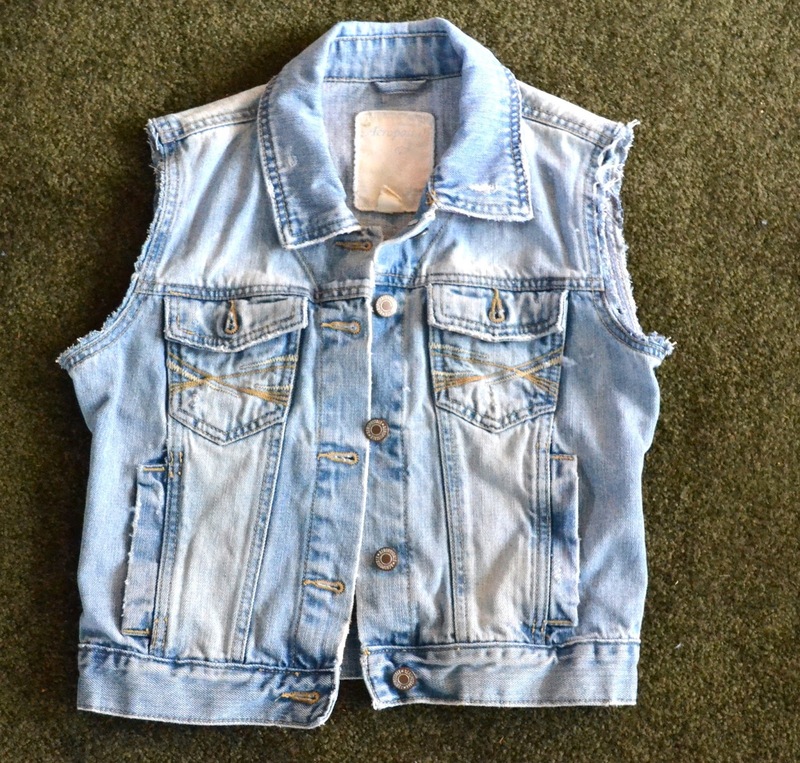 Step 1: Cut off the sleeves. 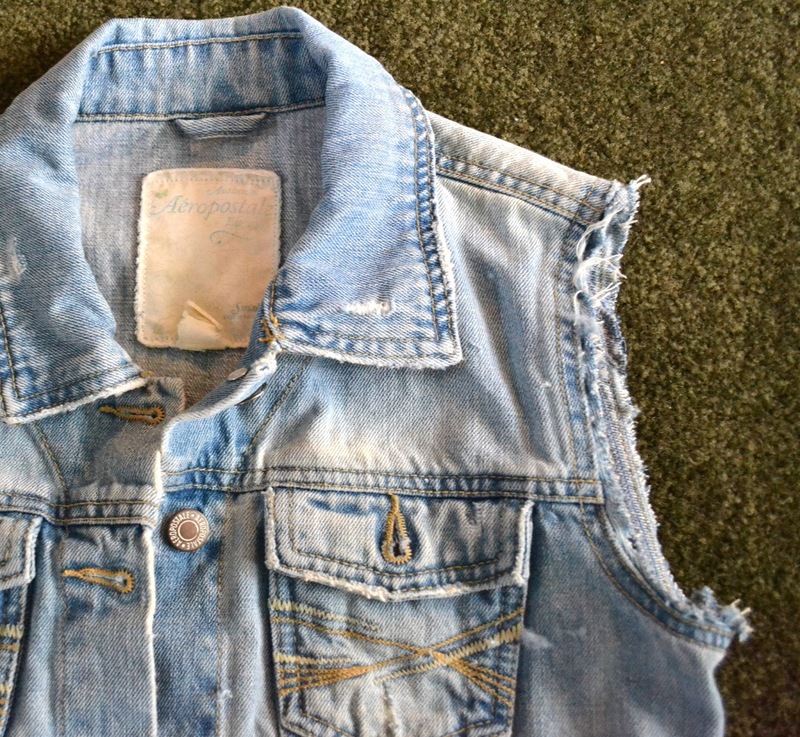 Cut at the seam, leaving it intact, with about 1/4 of denim left to fray. 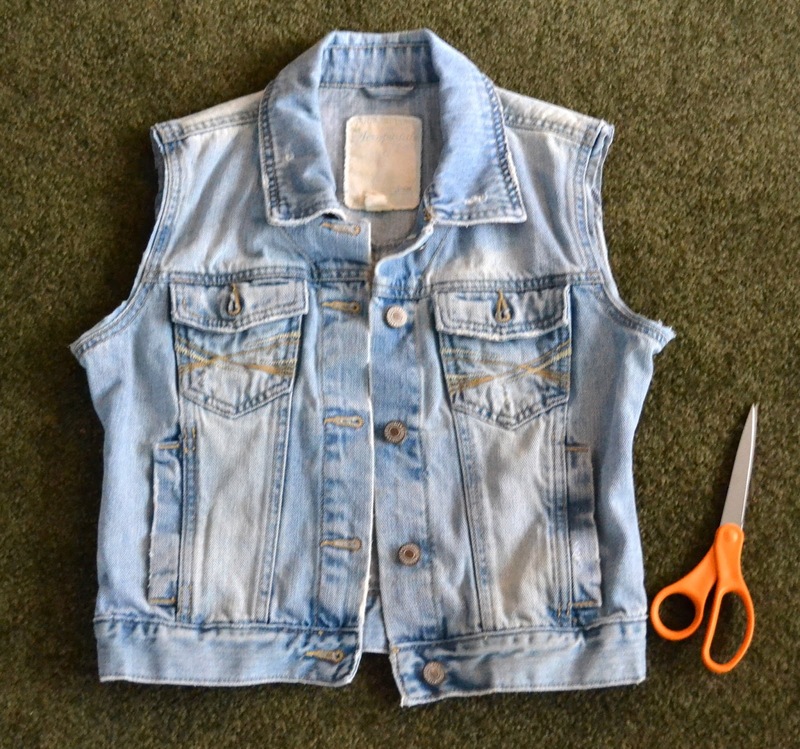 Step 2: Use the edge of your scissors to fray the edge of the denim you cut. Step 3: Style and enjoy! This entire venture took me around ten minutes. 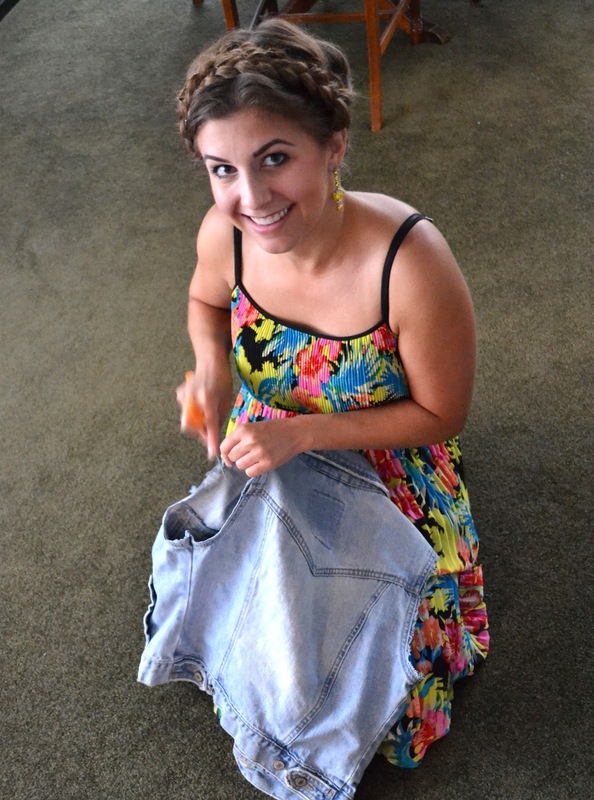 and it made the perfect finishing touch on the outfit I wanted to wear that day. which appears to be just around the corner!